Our eye doctors, Dr. Michael Hansen and Dr. Nicole Kahan, invite you to experience eye care at its finest. We are committed to providing the highest quality of eye care and optical services to every patient. Our office features the latest designer frames, a full selection of contact lenses, and advanced technology to ensure the most comprehensive eye exam and medical eye care. We are a family-friendly practice, located conveniently in the heart of the Redondo Hollywood Riviera Village, a charming shopping center brimming with boutiques, galleries, restaurants, and professional services. The open and attractive design of our office (complete with a coffee station!) will make you feel right at home, and not as if you are in a medical clinic. 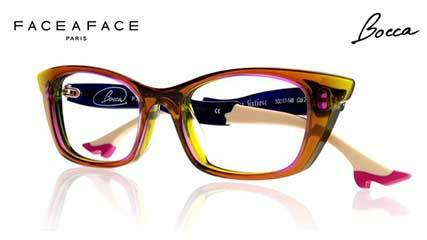 Our optical is stocked with an incredible selection of designer frames to match your style and budget. 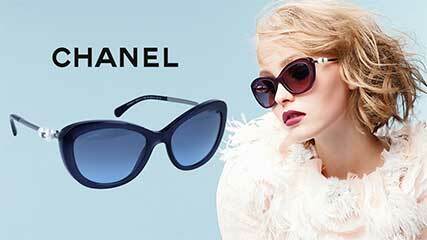 We are the exclusive retailer for FACE A FACE frames and CHANEL frames as well as having a great selection of many other designers. Our optical is stocked with the latest contact lens options from all the major brands. We have a comprehensive selection of daily contact lenses, which represent the advancements in daily contact lens design improving water retention, breathability, and comfort. If you are looking for contact lenses in Redondo Beach, stop by and check out our incredible selection and understand the pros and cons of each option from our warm and helpful optical staff. In order to better serve our patients and provide them with an opportunity for the highest quality eye care and eyewear, we have extended Saturday hours for eye exams. Looking for a same day appointment? While not always available, call our Redondo Beach optometrists today and find out if we have a last minute opening. We value quality above all else. Our technology, services, and product lines are top-quality, but we want to ensure that your quality of service is exceptional as well. We strive for excellence both in the quality of your experience and in the quality of your eyesight. Give Advanced Eye Care Center in Redondo Beach a chance to change your ideas about quality eye care. The technology that is utilized at Advanced Eye Care Center in Redondo Beach is cutting edge. We test and care for glaucoma, macular degeneration, meibomian gland dysfunction, blepharitis, diabetic eye complications and more with state of art technology. These tests serve as a tool to proactively detect early signs of eye health issues that can affect your vision and comfort, and advanced treatment. In the South Bay Area, Advanced Eye Care Center in Redondo Beach is the full-service optical with a focus on service and quality. From the top-quality frames, lens coatings, sunglasses, kids frames, and more, our state of the art optical everything you need to look and see your best. At our Redondo Beach Optical, we have an incredible selection of over 1000 frames with a focus on style, value, and quality. We strive to help you find what you are looking for, so rest assured that you will leave our office with the best fit for you. Come in and browse our selection, and allow our opticians to help you find the perfect pair. Our optometrists in Redondo Beach provide comprehensive eye exams for patients of all ages. Our commitment to our patients is to assess their overall eye health and lifestyle, not only what prescription they need. Our optometrists in Redondo Beach, spend time with each patient to provide the most comprehensive eye exam possible, using the latest technology for diagnosis and testing. Learn more about comprehensive eye exams in Redondo Beach. Our optometrists offer an extensive selection of contact lenses for patients of all ages and conditions. If you have had previous discomfort with your current contacts or are looking for the latest in contact lens design, including custom lenses for Keratoconus, contacts for dry eye sufferers, and contact lenses for presbyopia, our optometrists have the solution for you. Learn more about contact lenses in Redondo Beach. Learn more about LASIK in Redondo Beach. If you are experiencing an eye emergency of any kind, call our practice in Redondo for further guidance. Our eye doctors have extensive experience and the latest technology to diagnose and treat a wide variety of eye emergencies such as eye infections/pink eye, scratches to the eye, minor cuts in the eye, stye/bumps in the eye, eye pain, things stuck in the eye, chemical spills in the eye, and much more. In many cases, our eye doctor has more experience and better technology to deal with emergency eye care than an emergency room or urgent care facility. Learn more about eye emergencies in Redondo Beach. Our optometrists stress the importance of pro-active eye care. By scheduling eye exams as recommended by the American Optometric Association, you can prevent irreversible vision loss and keep your eyes feeling healthy and happy. Our optometrists use the latest technology to assess your eye health and help patients with Diabetes, Glaucoma, Cataracts, Presbyopia, Macular Degeneration, Myopia, Keratoconus, and other conditions to reduce risks associated with these conditions. Learn more about medical eyecare in Redondo Beach. At our Redondo Beach Optical, we know that glasses are about so much more than just picking the first pair you see. Our experienced opticians help each patient to find a pair that matches their unique style, face shape, and budget so that you leave with a smile on your face. In addition to an incredible selection of designer frames, we will also help you navigate the options for lens coatings such as blue light protection, UV protection, and anti-glare. We also provide same day repairs in our Redondo Beach Optical. Learn more about our optical in Redondo Beach. If you suffer from dry eye symptoms such as crusty, watery, itchy, uncomfortable/painful eyes, give us a call today! Our optometrists in Redondo Beach can assess the cause of your dry eye symptoms and if need be refer you to our Manhattan Beach location which offers some of the most advanced treatment options for dry eye, such as Blephex and Lipiflow. Many patients have been told that they are just not a candidate for contact lenses. At our Redondo Beach practice, our doctors offer some of the most advanced contact lenses for even the hardest to fit patient. Scleral lenses are an example of advanced contact lens design, these custom lenses provide a new optical surface for patients with Keratoconus, corneal irregularities, high astigmatism, and post eye surgery complications. Sclerals unique design means that you can see better than ever, with more comfort than ever, while wearing custom contact lenses. Learn more about Scleral Lenses. Myopia or nearsightedness in children is fast becoming a major concern for eye doctors everywhere. While traditionally optometrists would update the child's prescription and send them on their way, today research clearly shows that letting myopia progress over the pre-teen and teen years will highly increase the risk of vision loss from retinal detachment, glaucoma, cataracts, and many other serious eye diseases. Our optometrists urge parents of children with myopia to start as early as possible a myopia control program that greatly reduces the risk to your child's vision, by slowing down the progression of myopia by around 50%. What Makes Our Redondo Beach Eyecare Center Unique?